Columbia Northwest, which builds Aliner and Somerset campers, is planning to produce a new Somerset line that will be based on products that formerly bore the Coleman brand. Columbia Northwest acquired trademarks, copyrighted materials, patents and product documentation from FTCA, the company that built Coleman trailers. ElliptiGO® bikes were designed to enable everyone from elite athletes to everyday fitness enthusiasts to get outside for a low-impact, high-intensity workout. 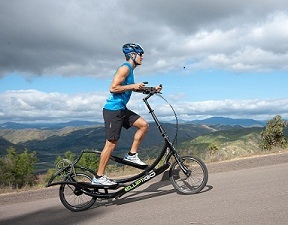 Injured and former runners whose bodies can’t take the impact of regular running anymore can feel that runner’s high again on the ElliptiGO. Healthy cross-training athletes can get in a running-specific workout that builds fitness without risking impact-related injury, and indoor elliptical enthusiasts can get outside of the gym for a fun, comfortable, low-impact workout. 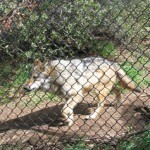 Visit California, the state’s tourism agency, is offering discounts on admission to California theme parks, zoos, aquariums, museums and other attractions at its website, visitcalifornia.com/fun-spots. The website allows visitors to download coupons for Legoland, Sea World, Universal Studios and many other destinations. The Best Trip Planner Ever? 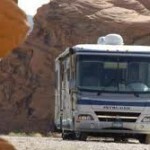 The premiere resort for Class A motorcoaches, located in the wonderful Las Vegas, is extending its discount for first time visitors through September 2012. New visitors will have full access to all of LVM Resort’s luxury amenities at the discounted rate of 20 percent off. 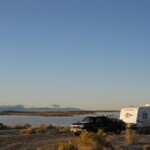 Wholesale shipments of RVs reached 71,400 units in the first quarter of this year, an increase of nearly 10 percent over the same period a year ago, according to the Recreation Vehicle Industry Association. Most of the growth is in towables, with motorhome shipments holding even.